WoS in Cardiff had a black explorer 2 in the window yesterday. Thanks on my way ! They aren't an AD so probably priced at the usual 15k plus. WOS Heathrow T3 had a Black Exp II on Wednesday. Very smart move on your part. 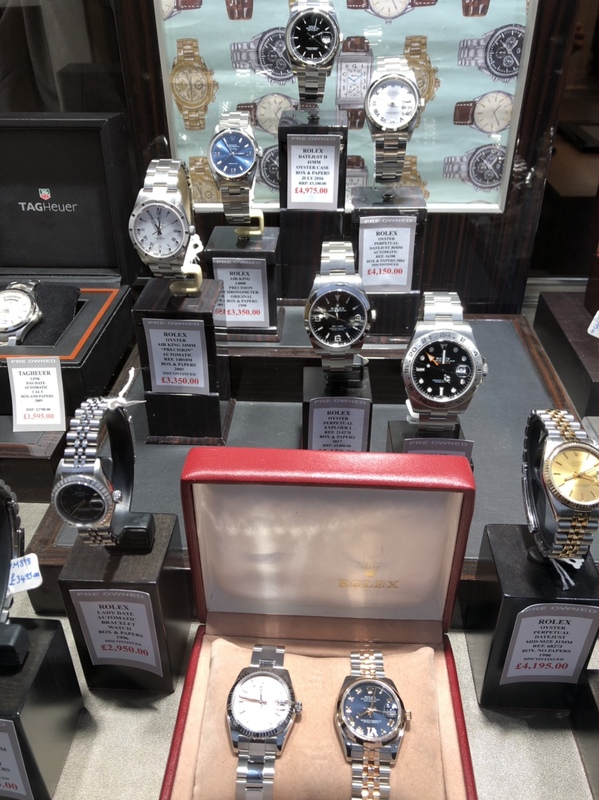 With what appears to be a push for greater profit by Watchfinder, the buy in offers seem to be decreasing in value but their asking prices are ever increasing. Spoken to a number of WIS and my own experience over the past six months, certainly noticed a change in the wind at WF. 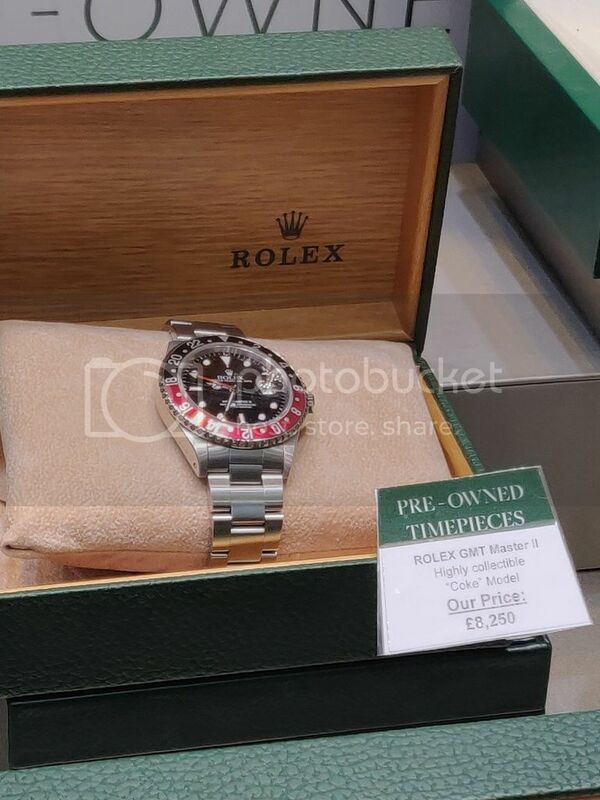 £17k for a Daytona! Unfortunately the Pespi markup is so ludicrous that it makes the Daytona look a bargain. With six weeks to Christmas they might as well try their luck before they go into the January sales at £18 & £13.5 respectively. Would love to meet their pricing manager, not sure i would be able to keep a straight face if they thought that those were competitive prices. Seems like the greys in the UK are shameless in their asking prices. I already want a Daytona but haven’t got any expectations on getting on as I’d only be interested at RRP or slightly more, no way near that much more! I’d rather stump the extra £5k or so and get a Aquanut from a grey dealer! Regarding Xmas, I got my BLNR 2 day’s before Xmas in 2016, the AD couldn’t find anyone to take it and called me a second time which was when I agreed to buy it. Was only on the list for 5 days at that point! 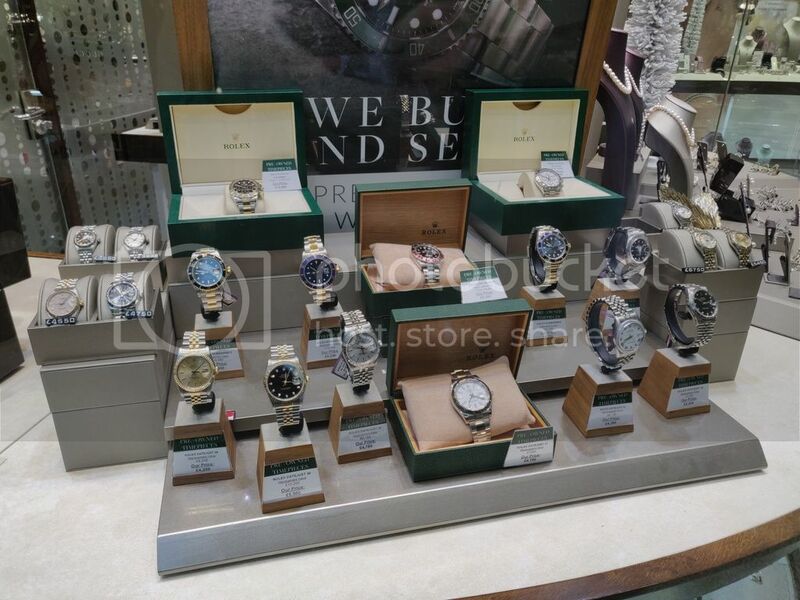 Dont Rolex close down for a break now for a month or two!? If this is the case grey prices could go up more! i work in Mayfair, two minutes away from the Ritz, burlington arcade etc. A couple of weeks ago i traipsed around four ADs nearby, credit card at the ready, looking to buy an Explorer 1. None had any in stock, or any idea when they might arrive. Finally the nice WoS guy checked his system and said there were none anywhere in central London- just one in Brighton and one in Oxford. This whole situation seems bizarre! Funnily enough when I bought mine 18 years ago , the Swiss dealer had the sub nd , sub d and sea dweller all in stock at the time. I ruled out the sub d because of the cyclops, then eventually opted for the sub nd. If I’d known then what I know now I’d have bought all three. ! It’s a great watch the no date sub, should my LV not arrive in the next few months then I’ll have to get one! The wait shouldn’t be to long for a ND sub. I put my name down on Sunday and got the call today to collect on Friday. I haven't hounded the AD but it's now 12 mo the for a no date sub. I've only bought one Rolex from them before. Very annoying! I wish you could just buy online with Rolex and take a ticket, wait your turn. I do sometimes wonder if it's 'out of sight out of mind' - you can be sure that others on the waitlist are chasing for theirs and who knows, an AD might just call the persistent chaser to get him/her off their books so to speak. Hands up, those who believe there is such a thing as a 'waiting list.' I don't, I think it is just an imaginary list used to fob people off. I know people who quickly get AD access to virtually every model, sometimes three or four in one year. Other customers wait for months, years, and never get the watch. There is no ''list', just favoured buyers. 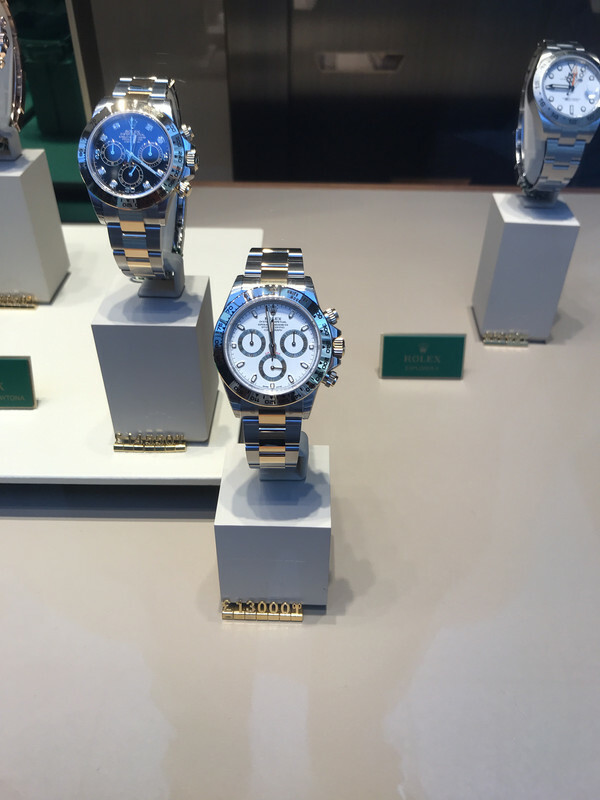 I know of one AD who wears a new white-dial ceramic Daytona, while telling customers they are virtually unobtainable. Last edited by paskinner; 8th November 2018 at 12:34. I was offered a SS BLRO (& purchased) without even asking for one (I did however ask to have a look @ it). It could be that they offered the BLRO as I was making a PM purchase? Last edited by Van Diemen; 8th November 2018 at 13:56. That’s actually a really good idea. Order your watch of choice, get a realistic eta, either accept it, pay up and take a ticket, or leave it. Customers would know where they stand and would not have to play ad fake waiting list games!! Closed for staff training this morning, but a few in the window. how could AD;s sell to their friends and family members if people could see the list!! Abroad at the moment and there is a Deep Sea (not the Blue one) available at the AD. Along with the usual explorer 1 and 2. TT sky dweller. TT Daytona. The usual scenario with everything else!! Are you on a secret mission? Pretty strange, going out of your way to keep the city/dealer to yourself? Last edited by blackal; 12th November 2018 at 21:09. 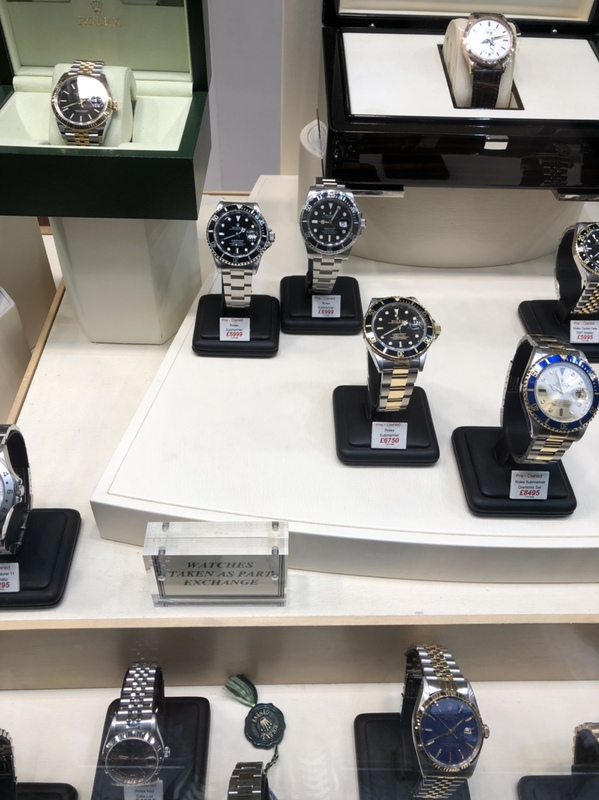 There is an explorer 1 in the Bullring Birmingham today..Goldsmiths...and a Sea Dweller..
Friday in Newport just south of Los Angeles while at fashion island outlet AD there was one explorer 1 available. It arrived Thursday night and the sales manager figured it would be sold by Saturday lunch at the latest. They have had no SS sports models for 2 months and don’t plan to see any anytime soon. Like the explorer they just randomly show up with their other stock. List on the explorer 1 was 5500 USD. I tried it on... the manager says is was only still available as he had only just started his shift and no one else was authorized to ‘process it’. I could have bought it then and there as they aren’t doing lists... there is no need as apparently everyone’s money is just as good as the next persons. To be fair... there appears to be so much cash flashed around that part of the world he’s right... pick a movie star or top radio artist and they are there. Apparently I just missed lady gaga and Gerald Butler. Which version of Sea Dweller? I could have bought it then and there as they aren’t doing lists... there is no need as apparently everyone’s money is just as good as the next persons. Great part of the world (if you have lots of money). 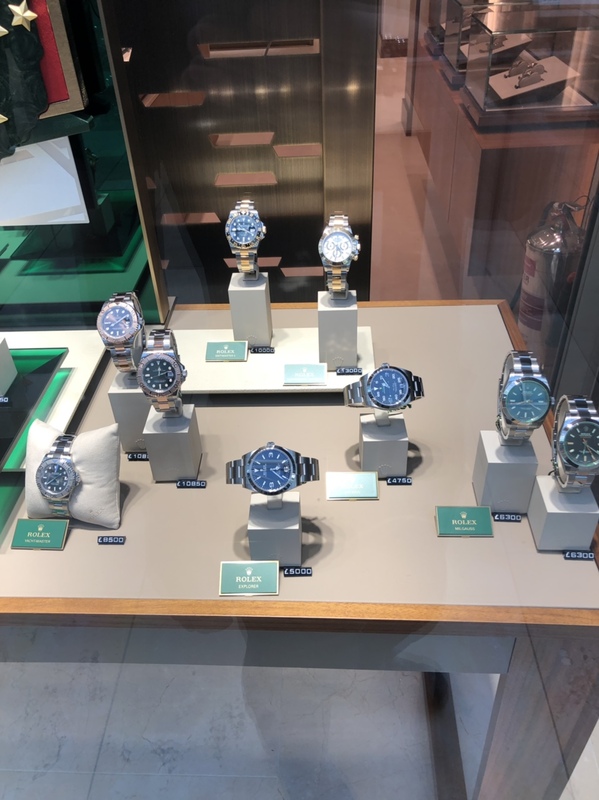 Try and head to South Coast Plaza - best watch shops outside Vegas. ^ It seems to me they can never get one anyway. If you are currently a genuine buyer for one of the more desirable pieces you currently may have zero chance as the system is manipulated by the AD's in favour of customers they can sell other things to. I have a friend being told he needs to spend £50k to get a Daytona. He has spent almost that but his SS sports model purchases don't count towards it. He wants to get the the WG Daytona on OysterFlex and the SS Daytona but was told you can't get the SS Daytona by buying a different Daytona, it would need to be SkyDweller, Day Date etc. What a shambles. Last edited by Strchr03; 15th November 2018 at 13:27. Chisholms Hunter @ South Gyle, Edinburgh at lunchtime today. That GMT Coke has been there for about 2 months to my knowledge so could probably knock them down on price if anyone is keen. I'd be going in if I had the money!